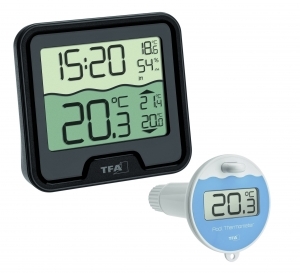 With the "SPIRA" wireless thermometer from TFA, you’re always up-to-date in all matters of temperature. 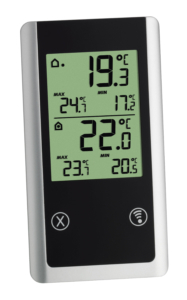 The outdoor temperature on site is determined by a separate wireless transmitter and shown with a trend arrow on the coloured display; an internal sensor measures the indoor temperature. 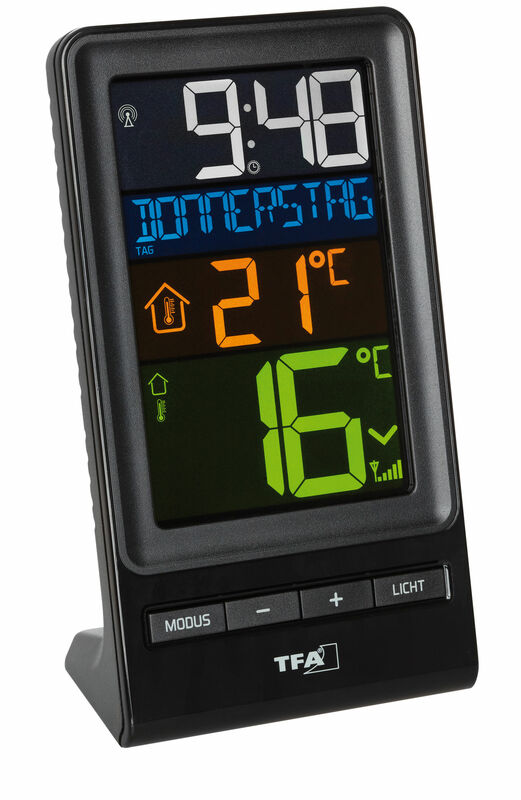 Controlling the room temperature is an important factor for a comfortable and healthy living environment and it helps save energy. 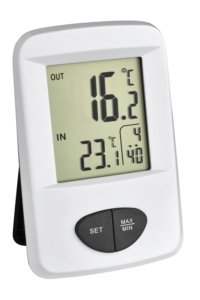 Even one degree of temperature reduction results in 6% less heating costs. 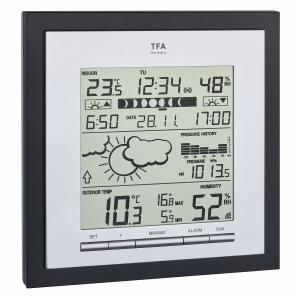 With the outdoor temperature you get important information for your home, garden, leisure and work. 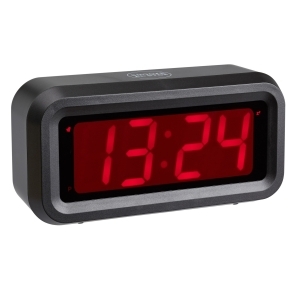 The maximum and minimum readings are stored and displayed by the push of a button. The current time and date are received via the DCF77 radio signal. The day of the week is displayed in full. 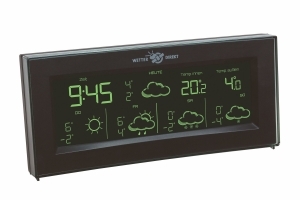 The display can be adjusted in two brightness levels and it’s easy to read even in the dark.